We pride ourselves on exceeding each brides expectations. Our designers are experienced, loyal and dedicated to our customers. 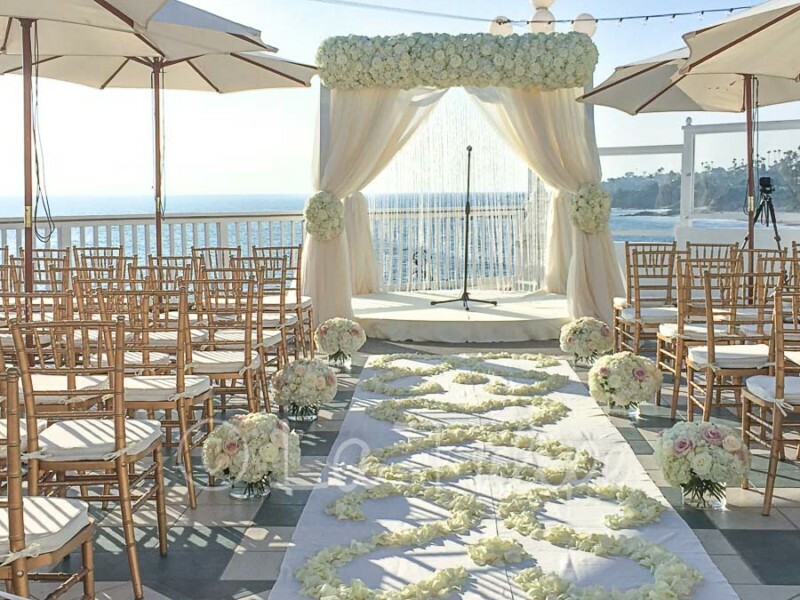 We have the experience and staff to handle any size wedding at Saddleback Church San Clemente Campus. Large or intimate weddings receive equal amounts of care when being prepared. All of our flowers are hand chosen for freshness and stored in our commercial grade cooler to ensure they remain as fresh as the day the were cut. Because every one of our brides are equally important, our professional staff is dedicated to making your Saddleback Church San Clemente Campus wedding experience a pleasant & memorable one. Annie creates a unique experience for her clients who are getting married at Saddleback Church San Clemente Campus. By working very closely offering guidance, expertise and style advice from the initial consultation to the actual wedding day. She understands each bride has a unique vision and style and will personally attend to your wedding flower dreams to insure your wedding day is an amazing memory to be cherished for a lifetime. Annie has the experience to give you that peace of mind you expect from an accomplished wedding flower specialist. We know this is your big day and we want you to be stress free.